Jacqueline first heard about InteleTravel back in 2013 while on her first Disney Transatlantic cruise. Her fun cruise buddy, Mandy Goddard, was already a successful InteleTravel Agent herself and saw something special in Jacqueline. “I think at the time she believed in me more than I did!” Jacqueline remembers. Mandy invited her to join her on her journey to independent success and a lifetime of travel, which Jacqueline finally did in January 2014 when she decided to sign up as an independent agent. A retired elementary school teacher, her business first began with her specializing in her two favorite areas: families and Disney, but it’s morphed a bit over time. “I have evolved into specializing both in multigenerational travel and in specialty cruising for the parents and grandparents who desire an elevated cruise experience,” said Jacqueline, who recently received an award for being the sixth top performing agent in InteleTravel. 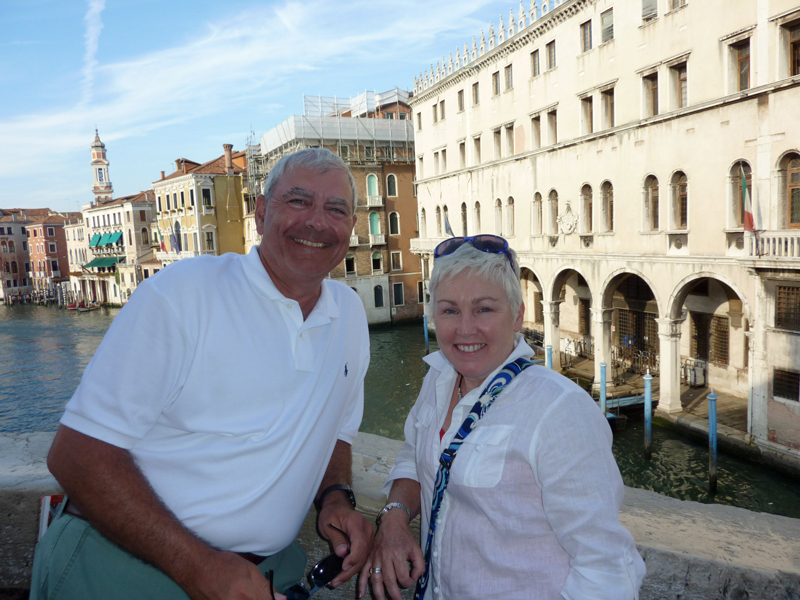 A huge fan of cruises, Jacqueline uses the commissions she makes to supplement her and her husband’s many yearly cruises, using each one as a learning and research opportunity for her clients. “I have tried to experience a number of cruise lines so that I have a good basis of comparison to advise my clients, both for inclusion and exclusion,” she said. Over the past four years, Jacqueline has been on four Transatlantic cruises with Disney and Viking, a British Isles Cruise with Princess, a Northern Baltic Capitals cruise with Disney, a FAM to Iceland, the Galápagos Islands cruise with Celebrity, several Caribbean cruises on NCL, MSC, RCCL, and Disney, a cruise to Cuba on Viking, as well as their Christmas Markets River cruise and their Danube River Cruise. “I can’t imagine selling a product to my clients and friends without inside knowledge!” she said. And her lucky clients? She actually takes many of them on cruises with her! “Many of my clients are friends we have made from cruising,” she said. While others are teachers from her local schools, people from her village, and a large clientele that were referrals from her other satisfied clients. “Simply put, this profession has allowed me to be of service to young families and the older generations in their families… I want them to have the best experience possible, and to be able to recommend, from my own experience, some magical trips of their own,” she smiled.